Some of you will recognize me for the simple reason that we have spoken, not just on social media but in person. In this post I would like to pay attention on the common voice from many of you, that I have heard emerging not just in the conversations from the last week, but has been repeating perhaps for as long as we started the #Ulab no1 last year. This voice is about integrating other models and practices with the “U”. While I was researching for my book Diamond leadership, the key question that brought me in contact with the U Theory (and many of you) was How do we transform and align our system/s? I was looking historically at what were the models that leaders and consultants were using in the past to actually do that – (a wonderful book to learn about the history of organizational change models is Large Group Interventions by Bunker & Alban). The book shows the early steps in the 1930s and 1940s and the works of Kurt Lewin, Wilfred Bion & Von Bartalanffy, up to the 1990s models, Search conference, Future search, Real time strategic change, ICA strategic planning process, Work design, Sumu-Real, Work-Out, Open space technology, Large scale interactive events. The book documents the period up to the 1990s. As I was approaching the modern days, I am talking about the last decade, I noticed a pattern. It was obvious to me that many current thought leaders, like Bill Issacss, Otto Scharmer, Nick Udal, Edgar Schein (please check their latest books below) talk about the same thing while using slightly different words. 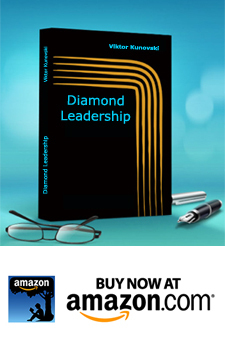 In this group of authors I will also add someone who is more focused on the spiritual side of the development, the founder of the Diamond Approach – A.H.Almaas. It seamed to me that they all agree that what the organizations and the society needs today in order to transform are 3 core practices. When it comes to the practice of presence, their vocabulary is not that different, presence is named as mindfulness, presencing or simply presence. When it comes to dialogue, there is more variety. In the Diamond Approach the process of dialogue is named as inquiry. In his latest books, Edgar Schein also calls it inquiry. Nick Udall calls it Creative Dialogue. The U Process is called Creative roller coaster by Nick. So here I am (or we are), at what in my opinion are the 2 most interesting models that we need to integrate with the U model. And I must correct my self, its not so much a matter of integrating the models, since in my experience (tried them all) at the core they are almost identical, but rather integrating the different practices that each model brings. From the Creative Rollercoaster we can learn how to pay more attention in the preparatory phase especially how to build the container, and choose Key Questions before we start the U dive. From the Diamond Approach we need to borrow the practice of presence and how they are using it to prepare for the deep dive. In the Diamond Approach, before each journey (they call it inquiry) the practice of presence is never compromised, which in my experience makes incredible difference. Diamond Approach is also masterful about what unfolds in the NOW (In the U Theory, this is named as emerging future). I am wondering what are your thoughts and experiences on integrating the U model? Please write on the discussion bellow. More than a year ago I’ve written down my thoughts in a Storify: https://storify.com/johanroels/theory-u-c-otto-scharmer Thus to me the ‘mother’ model of all those models is Creative Interchange. This process of learning and transformation, identified by Henry Nelson Wieman en translated in contemporary language by Charles Leroy Palmgren, was also the cornerstone of my latest book ‘Crucial dialogues’ and my ‘butterfly’ model (see http://www.slideshare.net/johanroels33/crucial-dialogue-model-2016-57781366 ). I don’t quite agree with your point of view that Edward Schein calls dialogue inquiry. Indeed, his brilliant book ‘Humble Inquiry’ describes one of the sixteen skills of the Crucial Dialogue ‘Butterfly’ model: asking questions. By the way, after having read Edward’s book I changed the label of that skill in ‘Humble Inquiry’ (see also https://storify.com/johanroels/humble-inquiry-ed-schein ). To me, inquiry is a major element of dialogue, not a synonym for it. For more on Creative Interchange please see http://www.creativeinterchange.org the column website of Charlie Palmgren and myself. I absolutely agree with you in “inquiry is a major element of dialogue, not a synonym for it” I intended to make a quick point in a short blog. This deserves more space and explanation. What interests me is which contemporary models, would you fuse with the U model? By the way, I checked your blog. Great job. In this world the pace of change is getting higher and higher, and, as Peter M. Senge pointed out more than twenty years ago in his Key Note ‘Crisis if Perception’ (Systems Thinking in Action Conference, Boston, 1993): “Our ability to affect the world around has exploded. On all levels: the macro scale and the micro scale; from altering the temperature of the planet for altering the DNA. During that time I don’t see that our wisdom has increased much at all. If that imbalance between our power and our wisdom is not corrected sometime soon I don’t have much hope for our projects.” And it occurs to me that we don’t have the patience any more to cultivate our wisdom. Taking time to read and reflect before taking action is what’s needed! Re “it’s not so much a matter of integrating the models, since in my experience (tried them all) at the core they are almost identical, but rather integrating the different practices that each model brings”, could it be a matter of keeping the different practices and vocabularies distinct, and allowing each of them to individually contribute to keeping an open space in the middle, not _owned_ by any of them? I explore this approach at https://medium.com/@szpak/open-dojo-9375b02d81b0.